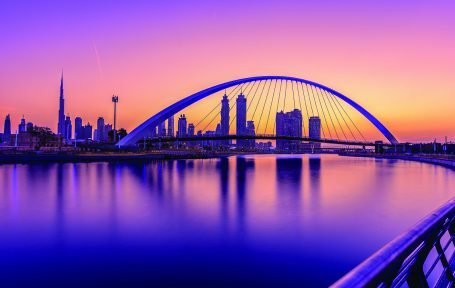 Emirates’ customers can explore more of Dubai this summer by enjoying exclusive offers and discounts across the city with My Emirates Pass, which turns the Emirates boarding pass into an exclusive membership card. Those flying to or through Dubai between 1 June and 31 August 2017 can take advantage of a range of offers at some of Dubai’s best known hotspots by simply showing their Emirates boarding pass* and a valid form of identification. Special fares to Dubai this summer start from 12 760 CZK. My Emirates Pass gives customers special discounts at over 120 world class restaurants and hotel dining outlets in Dubai. Exclusive offers are also available on a range of leisure activities including visits to championship golf courses, thrilling theme parks or luxury spas across the city. To see all My Emirates Pass offers, please click here. Emirates’ hub in Dubai provides direct connections to over 150 cities in 80 countries including its latest destination, Zagreb, to be launched this week. The airline offers excellent onboard service from an international cabin crew who come from 135 nationalities and speak over 60 languages. With lie-flat beds in Business Class, the largest in-seat screens in the world in Economy class at 13.3 inches and more than 2,500 channels of on-demand entertainment on the award-winning inflight entertainment system, ice Digital Widescreen, Emirates provides quality products and value for money.